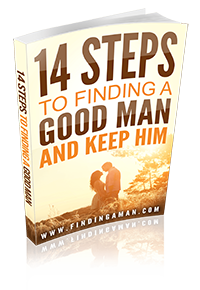 Looking for that perfect mate can be difficult for anyone. Especially when you consider all of the online options that you have to seek out that ideal guy. If you are considering entering the dating scene then you may not be sure where to start. How do you flirt? Do you kiss on the first date? How do you please the man that you are interested in? What kind of relationship am I looking for? These can all be very stressful questions that you must eventually answer before venturing out that first time. Therefore, finding the right advice on how you approach building your relationship should become one of your first priorities. Keep reading to learn 6 first time dating tips for women that you can apply to help you on your date to level the playing field. There are certainly some key factors that you need to keep in mind as you start dating. It does not matter how old you are, these tips should be considered at all times. Every gal who is going out with a guy for the first time will find themselves wondering about the first kiss. That is why kissing tips should be reviewed. First off, always be sure that you have good breath. This will definitely help to determine if there is going to be another kiss, or even another date for that matter. Next, try to keep the kiss very light yet passionate. Never begin a kiss in an aggressive manner. You will find that the light kiss will produce better results. Sometimes it is better to place a well deserved kiss on the cheek before actually locking lips. If you are going out with someone for the first time then it may be better to keep things casual and fun. Try to learn as much as you can about the person that you will be going out with. Then you can find something exciting to do for the first time together. No one likes to spend time at dinner where they are not sure what to talk about. Yet, a movie is not always best because then you cannot talk at all without raising the ire of those around who are also trying to watch the movie. This does not allow you to get to know the person which is necessary to keep the date interesting. Romantic ideas may not be appropriate either unless of course you’re only looking for a one night stand. If you are looking for a longer lasting relationship then you should wait until you know the person better and feel a connection before you move forward with romantic suggestions. Flirting can be a great way to make your time together more exciting and special. You can follow these flirting tips to set the mood and show the guy that you are interested in seeing more of him. Begin by glancing his way ensuring to make eye contact for a few seconds and then giving him a faint smile before looking away. Compliment him on something he is wearing or how he looks. Let him know that you are excited to go out with him and looking forward to the date. Next, try to laugh naturally at his jokes or funny comments. If you don’t understand what he is saying, ask him for an explanation and make sure you laugh when given the explanation even if you still don’t quite understand. Being funny and laughing can help to set the mood. Do not forget your nonverbal actions when it comes to being flirtatious. You can run your fingers through your hair while making casual conversation or a gentle touch of his arm when agreeing with his comments or jokes. If you want to know how to get guys to like you then you have to talk about the things that they like. If you are a fan of sports, talk about them and get his opinion. This will get them all pumped up and they will carry these vibes over to you. Be sure that you are wearing perfume. The scent will be tied to his memory and he will remember you when he smells it again. Finally, tell him something you are passionate about. This will help you light up and make you more attractive. If you follow all the previous tips he should start to feel comfortable around you and possibly open up to some more personal questions you may have at a later time in the date. If you feel he is not comfortable with you and your questions or flirtatious attitude, then step back and let him steer the direction for a while to see if that will make him more at ease and work hard to let him know you appreciate him and respect his opinions and suggestions. Dating can be very exciting and fun if you want it to be. This is not something that has to be frightening all of the time. If you know how to please your man you will find that he will always want more. However, you do not want to be obsessive. 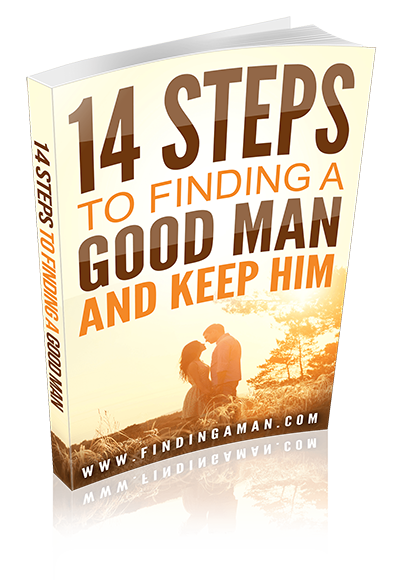 Many women do not realize that there is a difference between being interested and simply creeping a man out. You have to be able to walk that line and keep him coming back. When it comes to flirting you should be subtle and try not to seem desperate. This is actually a turn off for most men. It is alright to be nervous and show him this side of yourself. In fact, it can be great way to let him know that you are into him without saying it. Think about the things that you can do that would be considerate. Help him finish a project he may be doing or be supportive when he is feeling down. In the end, you need to remember that you cannot make someone love you. If the feelings are not there then there may not be much you can do about it. If you find yourself in a situation like this then you may need to simply move on. Finally, never call yourself his girlfriend. Allow him to use that term first so that you do not scare him off. This is certainly a word that could be used prematurely and it can push him away before he even gets to know you.